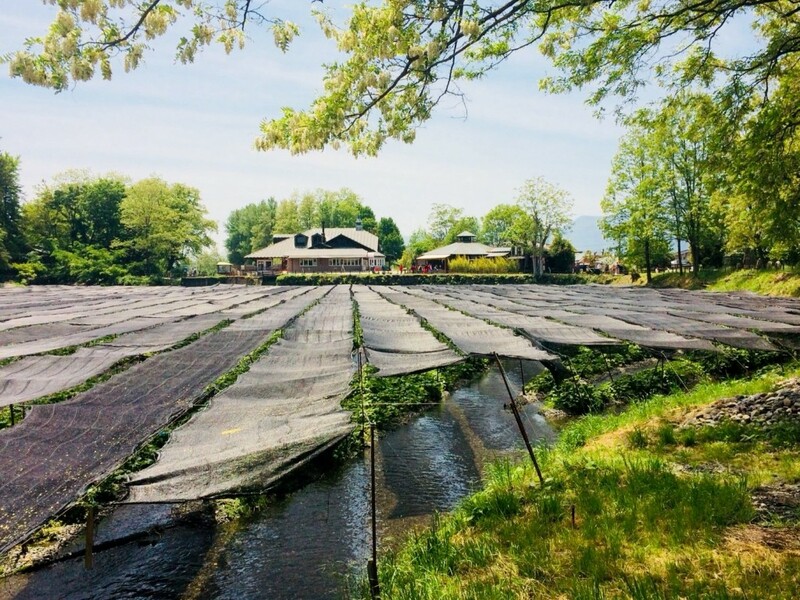 Located in the beautiful region of Azumino and set against the background of the Japanese Northern Alps, Daio Wasabi Farm is the one of the largest producers of wasabi in Japan. 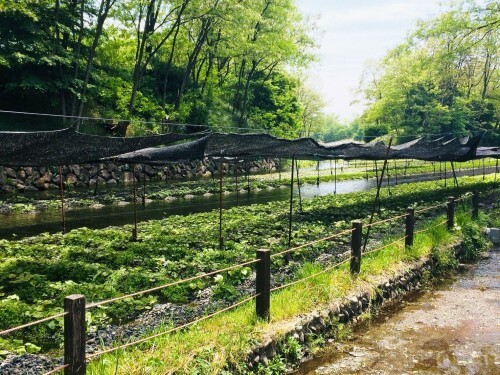 Covering an expansive area, multiple large water-filled fields of wasabi are dissected by clear streams of water and walking paths, along which visitors are free to explore. 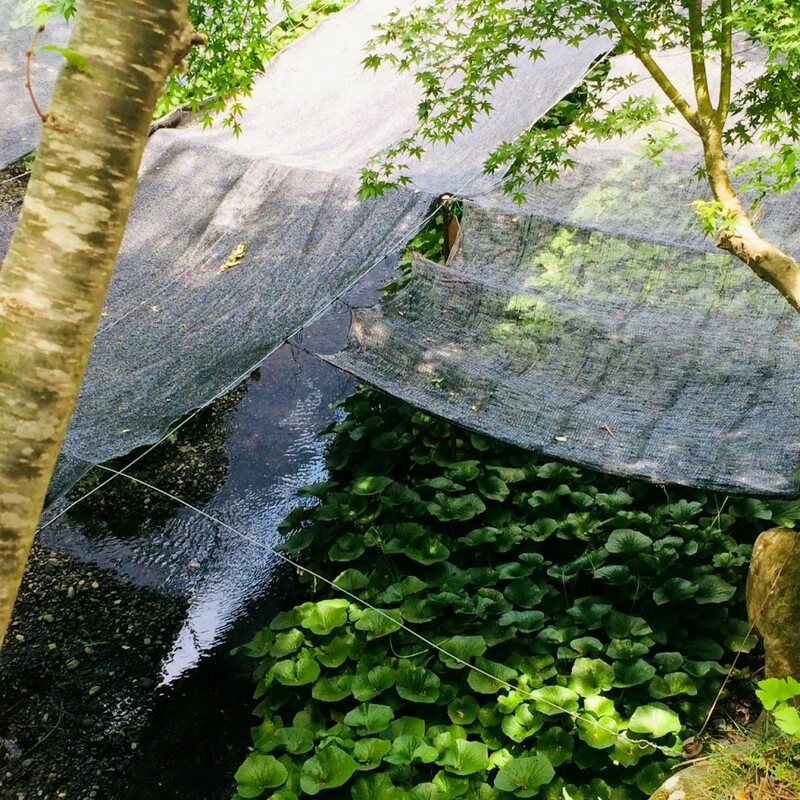 Wasabi requires large amounts of clear water to grow and the streams and pools that flow across the farm create a picturesque and idyllic setting in which to wander. 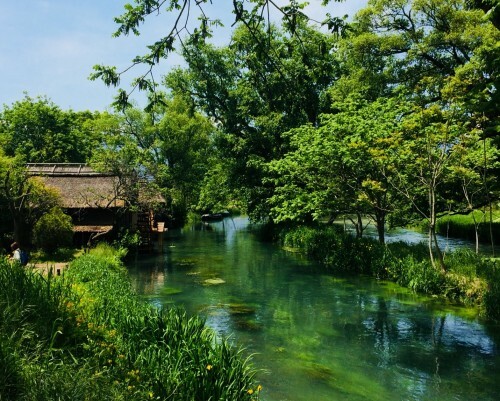 Daio Shrine and wooden water wheels on the Tade and Yorozui Rivers – the setting for Kurosawa Akira’s 1989 film ‘Dreams’ – only add to that atmosphere. Multiple shops and restaurants sell all things wasabi including wasabi-flavored sausages, chocolate, ice cream, and beer! Forget the crude imitations you may have experienced at home, real Japanese wasabi is a complex, more subtle flavor to savour and enjoy. Take the JR Oito Line from Matsumoto to Hotaka Station (approx. 30 min). 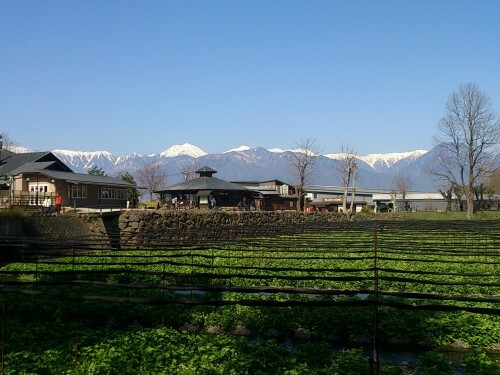 From Hotaka Station, you can walk to the farm (approx. 20 min) or rent bicycles at the station.